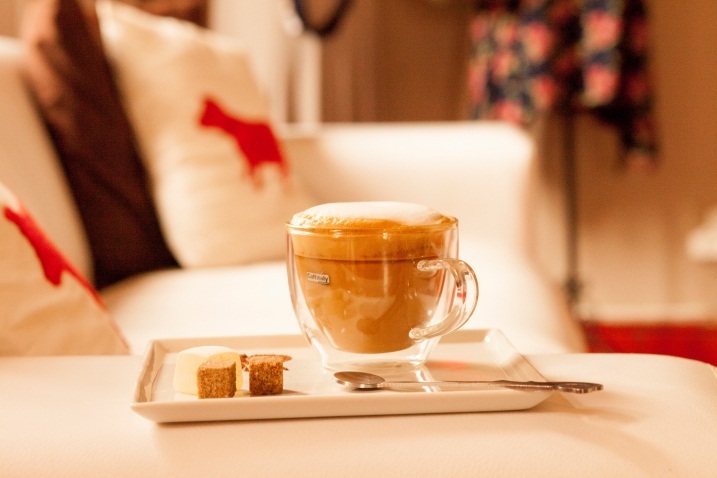 Enjoy hearty gourmet Karoo dining at the Ibis Lounge. Our award winning restaurant is dedicated to seasonality & sourcing local produce for our menu. Open for breakfast, lunch and dinner. We have credit card facilities. No visit to Nieu Bethesda is complete without Andre’s sublime faire ~ can enjoy a cheese, salad and kudu salami platter under the trees while enjoying a Karoo Ale. And while you’re there André will gladly give you a tour of the brewery while the kids explore the animal farm across the road. Open from 9 am to 4 pm. 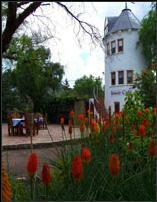 Situated in a quant tower in the Bethesda Arts centre, you can enjoy our spectacular curries, Karoo lamb and vegetarian meals. 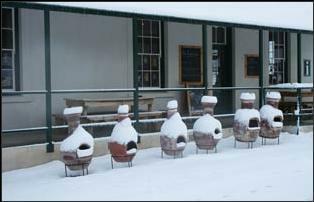 Enjoy local Karoo lamb and venison and seasonal vegetable in colourful establishment opposite the Owlhouse. Open for teas and coffee, breakfast, lunch & dinner. Traditional food served with township style. Antie Evelin lives in Pienaarsig (the township area) where she operates her restaurant from home. In summer meals are served on her stoep overlooking the community sports field; in winter you sit in a gaily painted tin shack, warmed by a heater and the adjacent oudoor stove. The menu varies and could include traditional bredies, samp-and-beans, roosterkoek and lekker poeding. It is advisable to book for dinner beforehand.